04 Ram Hemi 4wd. Had my oil changed a few weeks ago and they were out of RP 5w-30 and the tech told me all of the hemi's are running 5w-20 (used RP oil and filter) so I did not worry about it then but now it is warming up a little bit and after the engine warms up good it sounds like I have an exhaust leak which I had 5 or 6 years ago so I put a wrench on all of my exhaust manifold studs and they are right where I left them so it is from the thinner oil. A little history; I ran 10w-30(mobil 1) for about 8 years because I live in Las vegas and my owner's manual says to use 10w-30 over 100 degrees fahrenheit so I did. I had just over 100k on the motor and decided to swap to RP-5w-30 a few years back for less strain on seals and it stopped using the Mobil1 oil and the level stayed right at the line at 3k mile service where before it would be 1/2qt. low at same interval with the Mobil 1. Have been performing exceptional maintenance on this truck for 13+ years and it has paid off well. 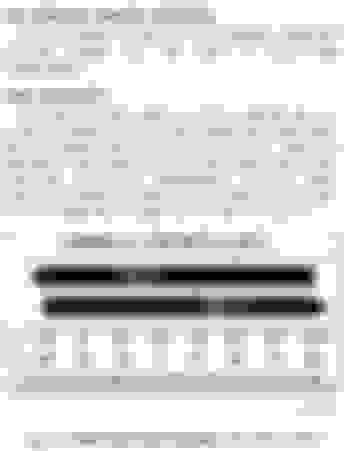 The typical hemi tick has only been occasional and usually when oil needs to be replaced or sometimes when cold. I do run a slight tune mainly for transmission shift points and tire size and fuel efficiency. Could the timing be making that sound due to spark retardation or advancement in combination with the thinner oil? Forgot to ask about spark plugs too! Have maybe 15k on champion coppers. Are people still having good results with NGK 5306 plugs? Bought the set just after last plug change however many years ago that was 4-5 years because of reading good reviews on here about them. Should I gap the NGK 5306 plugs at .40 like the coppers or different due to the mild tune? Thanks again for your time. I would never use thinner oil than what the manufacturers recommend. Manufacturers always spec the lowest viscosity oil you can get away with, they do that for the best fuel mileage. 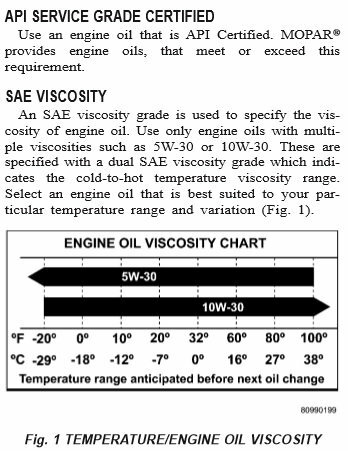 On many engines it's okay to run higher viscosity oil than the specs but not lower. The ticking you are getting is a typical result of putting in lower viscosity oil than the engine was designed for, especially one with higher mileage. I'd run 30 weight, and probably the high mileage version for better additives. Seems smarter to go with the 10w30 if cold temps (below -20 degrees Fahrenheit) in your area are over until the next service.